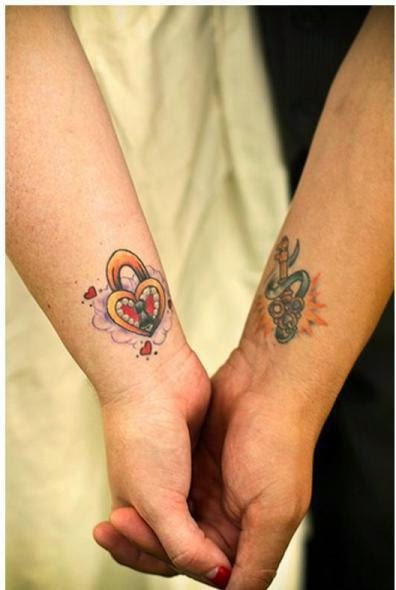 If you like tattoos and your couple also does, there is a new way to show how much you like the art to paint the bodies and at the same time, how much you love her or him, it is with a tattoo for couples, you can choose different shapes, phrases and figures and tattoo a part on him and the other one on her. 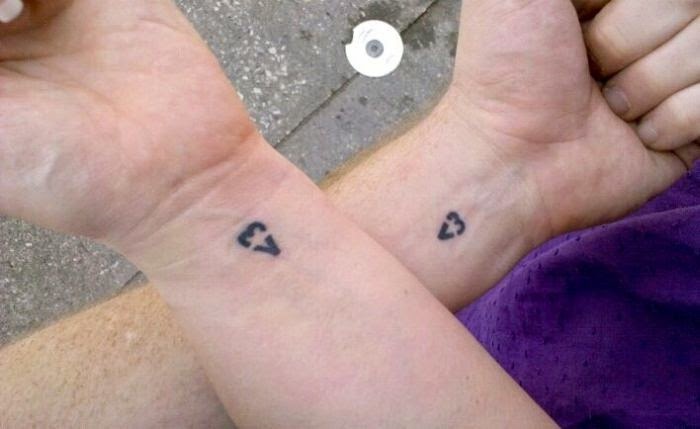 Below there are some interesting tattoos designs for couples, that can be appreciate when him and her are together complemented each other perfectly, choose the best one for both of you and do it. 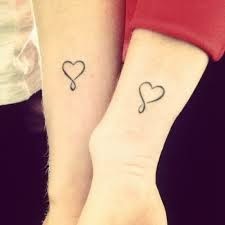 A tattoo for a couple with a heart with an original design that is formed when two hands are together. 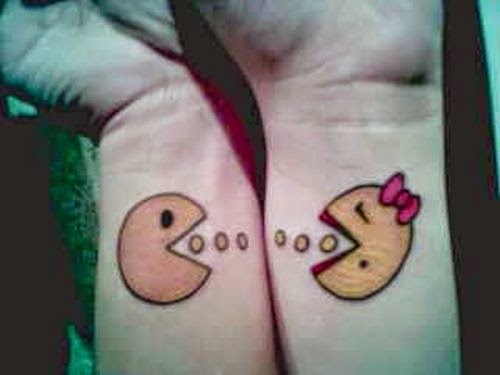 A tattoo with two pacman, one male and one female sharing food. 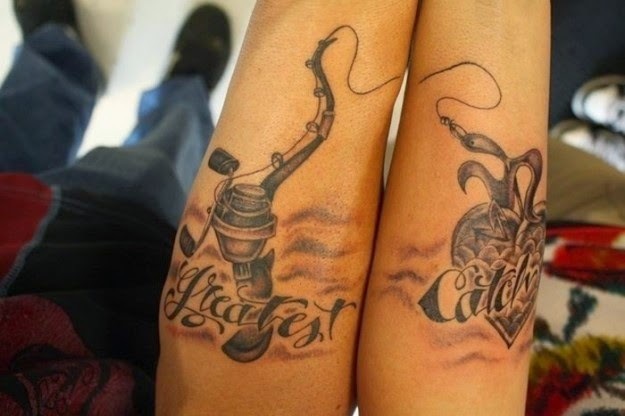 A tattoo with a fishing rod in one arm and a heart fish on the other. 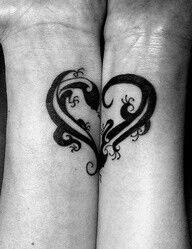 A tattoo with two small hearts. 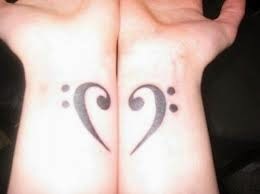 A tattoo in black and white with a key on a hand and a heart on the other one. 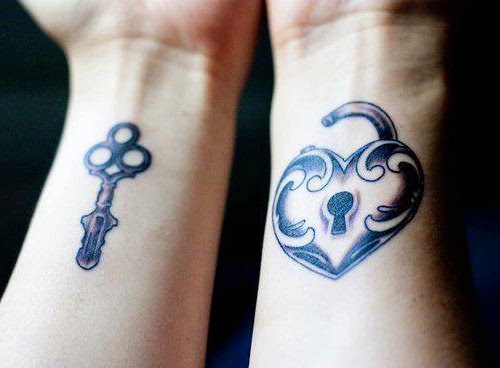 A colorful tattoo couple with a key and a lock. A tattoo with hearts made with thin lines. 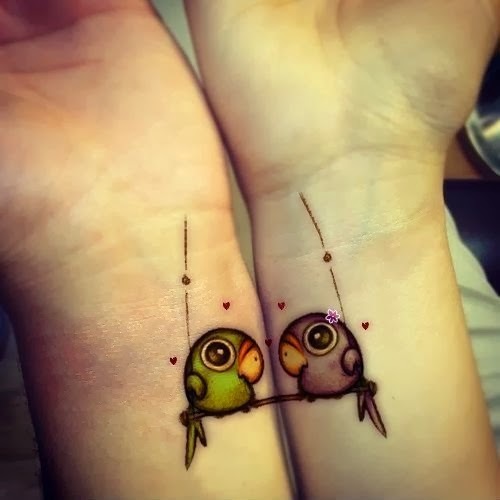 A tattoo with two parrots on a swing. 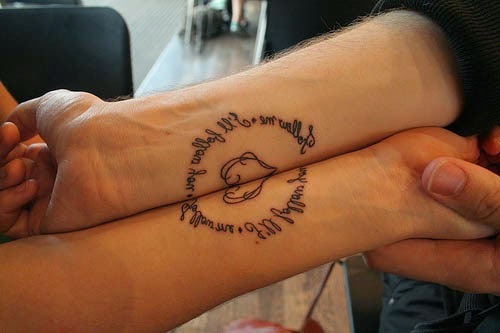 A tattoo with words of love and a heart that is formed when arms are together. A tattoo with a heart drawing with lines and waves. 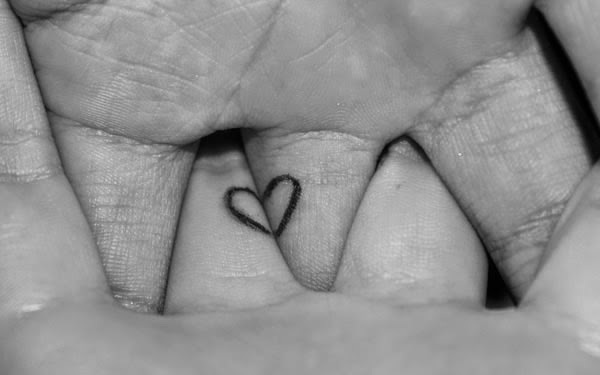 A tattoo with a small heart that we can see when hands are interlaced.